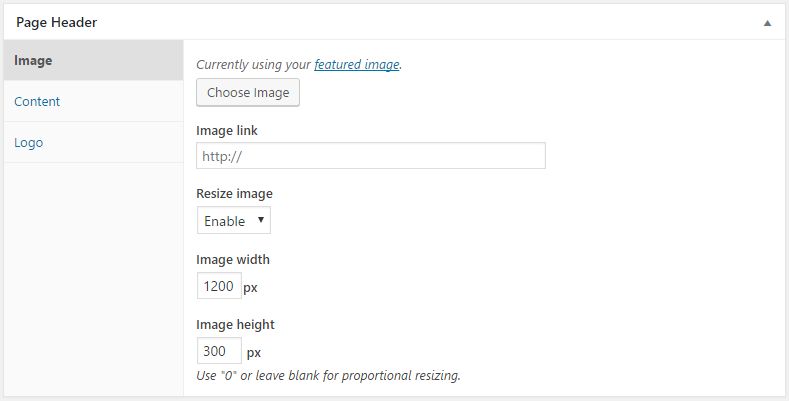 The Image section of the Page Header meta box allows you to upload a custom image, or set your featured image. In most cases, you should use the Featured Image instead of uploading a custom image. The custom image can be useful if you already have a featured image in use, and want a different image for your page header. Once you have a custom or featured image set, you’ll see options available to link the image and resize it.